Click for more data on Tesla. It's been a rough week for Tesla, one of the hottest momentum stocks on Wall Street. Shares of the electric car maker have tumbled 10% over the past three days, though it regained some ground early Thursday. But before you shed a tear for Elon Musk, consider this: Tesla (TSLA) shares are still up more than 380% so far this year. 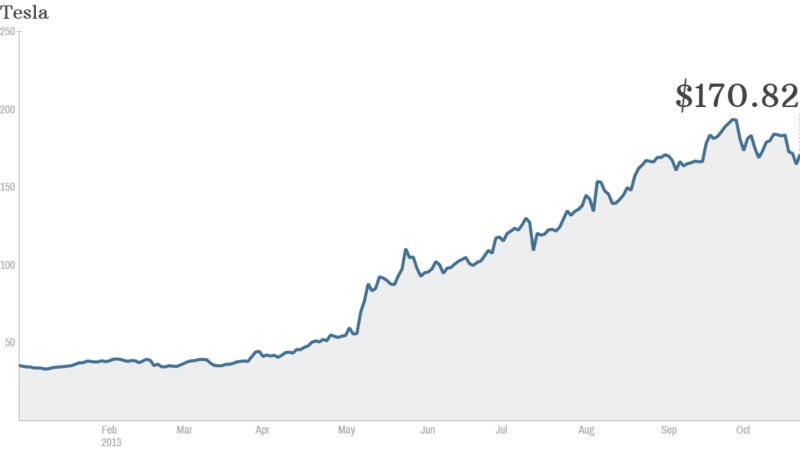 "Tesla has had a spectacular run and is a volatile stock," said Efraim Levy, equity analyst at S&P Capital IQ. "Sentiment can change on a dime, whether it's good news or bad news." This week's selling has been largely attributed to a report in a German magazine that cast doubt on Tesla's European expansion plans. Concerns about a potential safety probe have also weighed on the stock since a Model S caught fire in an accident earlier this month. The debut of BMW's electric vehicle this week didn't help. But analysts say the stock's correction has more to do with a shift in market psychology than any real change in the outlook for Tesla. "It's not fundamentally driven," said Takuo Katayama, an auto industry analyst at Daiwa Capital Markets. "I think it's profit taking." There has been a flurry of research published this week on Tesla, which may have also provided an excuse for investors to take profits. Bank of America Merrill Lynch, which maintains a $45 price target for the stock, was by far the most bearish. On the other end of the spectrum, Wedbush Securities upgraded Tesla this week to "outperform," with a price target of $240 per share. The stock currently trades at around $165. It seems safe to say Tesla's stock performance will remain volatile as investors wait for the company's third quarter earnings report on Nov 5. The company is expected to report earnings of 11 cents per share, according to analysts surveyed by Thomson Reuters. Related: Is Tesla a trap for small investors? 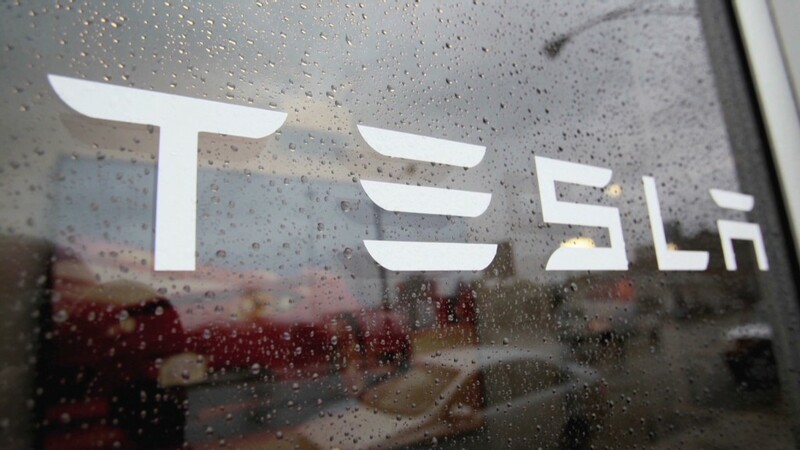 That would mark the third profitable quarter in Tesla's 10-year history. It would also be up from a loss of 92 cents in the same period last year. But revenue growth is expected to surge nearly tenfold to $535 million in the quarter. The results should give investors something more tangible to chew on as they debate what Tesla is worth. The stock currently trades at more than 90 times next year's earnings estimates, which is rich by any measure. Tesla bulls say the valuation is based on the potential Tesla has to revolutionize the industry and become a full scale automaker in the future. But bears argue that the stock has gotten ahead of itself and is highly speculative for a company that plans to sell only 21,000 Model S cars this year.